This luxury ski chalet is situated within meters from the main gondola in St Martin de Belleville. Brand new ground floor extension enlarges Chalet St Pères' open-plan living space. The open-plan living area leads out onto a large wrap around sun terrace and garden with beautiful mountain views. A large garden and sun terrace with exterior seating and breathtaking mountain views. This Alpine kitchen is perfectly suitable for a self-catered holiday chalet - to prepare meals for the whole family. Extremely well-equipped kitchen with large fridge freezer, induction hobs, full-size oven, Nespresso machine and more! The top floor master bedroom shouts pure luxury with a huge super-king sized bed, TV, lots of storage and a large en-suite bathroom with jacuzzi bath. Chalet Saint Peres offers luxury chalet facilities such as jacuzzi spa baths and a hammam steam shower / sauna. 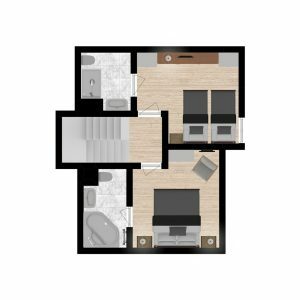 Two double bedrooms share a family bathroom as well as balcony with mountain views. Large family bathroom with jacuzzi spa bath, double sink and toilet - Shared by two double bedrooms. The whole ground floor of this luxury chalet is contains a large open-plan kitchen, living and dining area, the entrance area and a separate WC. Ski boot warmers in the entrance hall. All bedrooms have lots of storage in built-in cupboards. Second floor double / twin bedroom. 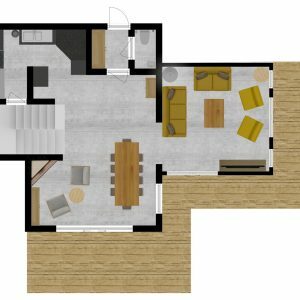 First floor double / twin bedroom. What a view from the balcony! Enjoy the French Alps! "A Home from Home" with many special touches. Chalet Saint Pères is a luxurious duplex chalet situated within less than 20 meters from the main gondola in St Martin de Belleville. This winter there is a brand new ground floor extension which enlarges the open-plan kitchen, living and dining area and make Chalet Saint Pères even more spacious and luxurious! The entire ground floor of this chalet is one large open-plan kitchen, living and dining area with open log-fire and access onto a large sun terrace with breathtaking panoramic mountain views. The chalet consists of 5 bedrooms sleeping 10 people in total. 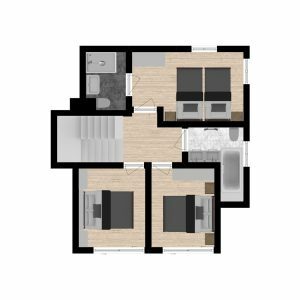 Three bedrooms have en-suite bathrooms whilst two double bedrooms share a large family bathroom with jacuzzi bath. Renovated in recent years the owners have been generous adding luxury facilities such as jacuzzi spa baths a hammam steam shower, boot warmers as well as many details and special touches that make it feel like a “Home from Home“. 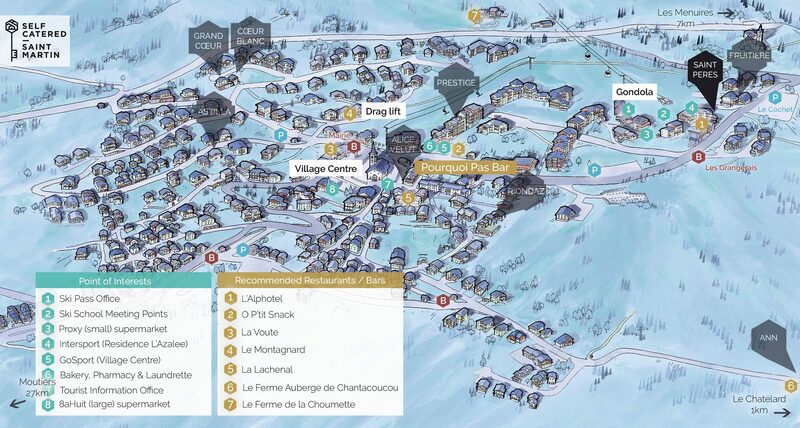 This fantastic ski-in ski-out location offers you a lot of flexibility during your ski holiday in St Martin de Belleville!